Clumsily, I fell the other night – a nasty fall that almost broke my foot. I tripped over a cement curb in the dark and busted what could only be my medial metatarsal vein. As the bluish stain began to ecchymose under my skin’s surface, I rushed for my tube of trusty Arnica gel. After just three applications of this quick-dry homeopathic remedy and 40 min of RICE first aid treatment, the hematoma that was forming slowly, subsided and left a sore, but peachy skinned dorsal right foot. 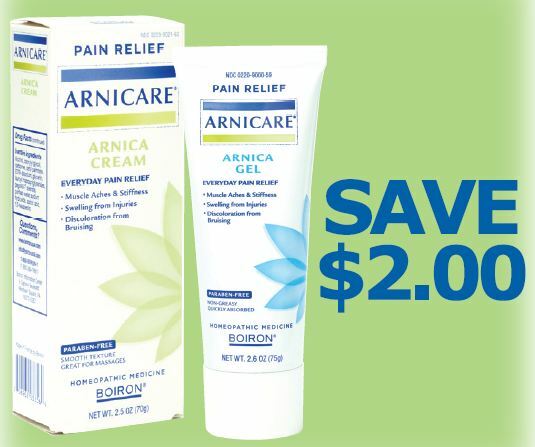 I continued to apply the Arnica the next morning to help alleviate the pain, but most of the benefit transpired within the first 30 min of the injury. Either way, I was eternally grateful to have this herbal treasure on hand. 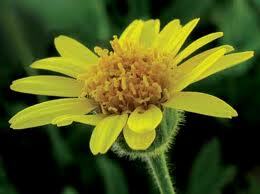 Being a strong proponent of herbal and Ayurvedic medicine, this incidence prompted me to take a closer look at the biochemical and physiological benefits of Arnica. If you’d like to glean a deeper insight into the various health benefits and precautions of this miraculous plant, read my article that follows this post. In terms of practical use, I think Arnica is worth its weight in medicinal gold and highly recommend keeping a tube close by in your first aid kit. A popular and trustworthy brand is Arnicare ™ by Boiron and can be found anywhere from your local Walgreens to Whole Foods.